What a wonderfully reflective activity. From what I can see in the picture, it looks like they describe themselves with I am…?? I love “Every year is a gift to learn with children” and a gift you are to them! This final year in elementary school is a gift to them. They will reflect on it and know this to be true, but it may be years down the road before that thought sinks in. 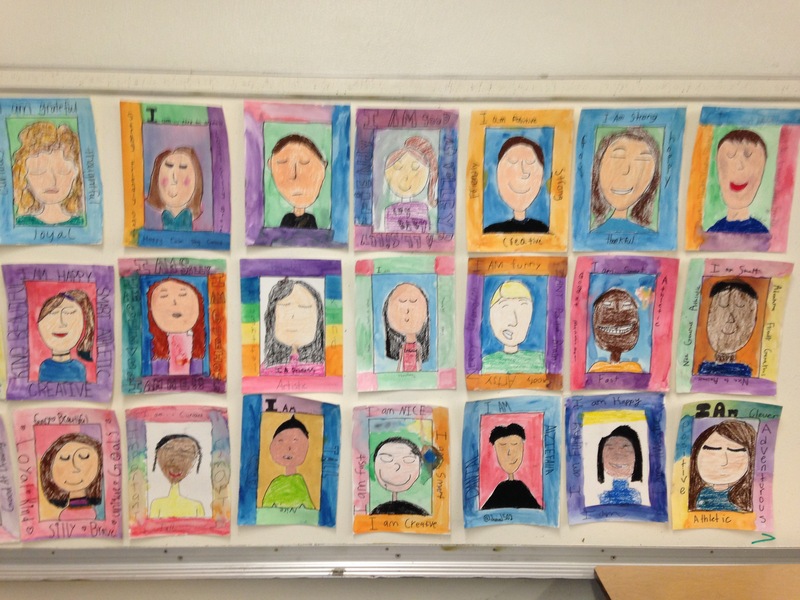 Love the self portraits! Each year a gift, each unique. You have captured that bittersweet sadness of the end of the year. Love the self-portraits. So colorful. Good luck with helping your students say goodbye. So hard and scary to move on to the next level. Your post told that story in a very compassionate manner. What a beautiful/handsome class! Time to reflect and write is such a gift YOU are giving them!! Such a truth, “Every year is a gift to learn with children.” Thanks for sharing this glimpse into your room. I like how you captured the mood and the music, and the different students. Beautiful celebration.